Meet featured fighter Samantha ‘The Assasin’ Krystantos. Sam will be facing Natasa in our Co-Main Event and featured female bout of the evening. And she isn’t joking! Having trained in karate since the young age of 3, Sam is no newbie to sport training and performance under pressure. 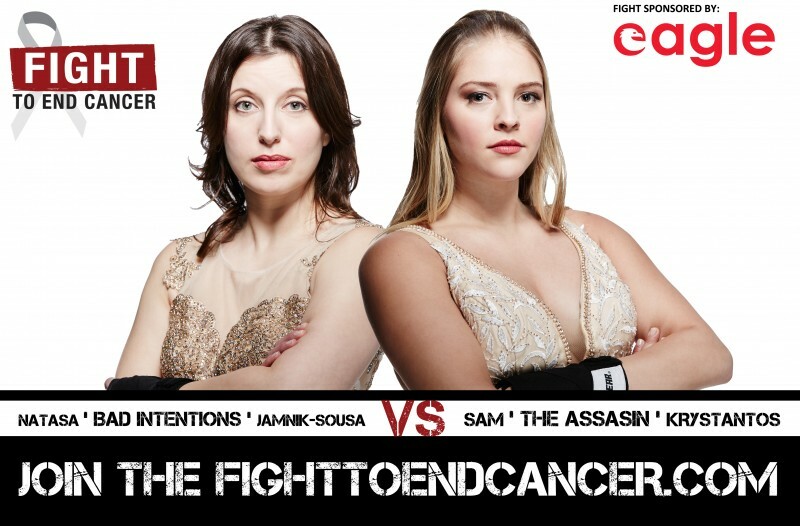 When interview by The Female Coaching Network for Fight to End Cancer takeover week, Sam shared the differences between her competitive Martial Arts training and the training for her boxing debut at the 5th annual Fight to End Cancer charity gala. Sam is a ‘third generation’ FTEC Fighter (so-to-speak). Her father Mitch Krystantos was in our Main Event at the 2014 gala and Sam’s uncle Ryan Morris fought in our event last year. 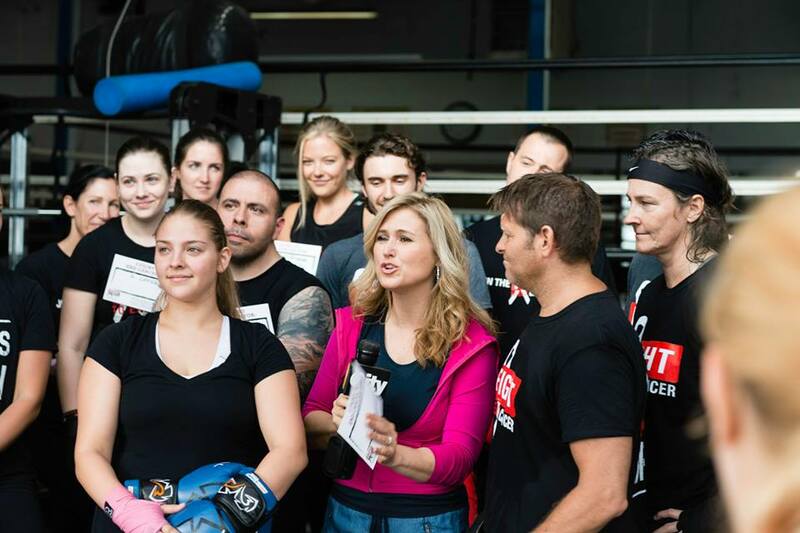 Samantha with her father Mitch and the FTEC 2015 Team live on Breakfast Television with Jennifer Valentyne. Sam’s goal is to raise $10,000 for the Princess Margaret Cancer Foundation by June 4th 2016. This impressive goal isn’t too far out of reach as she has already reached 67% of her goal. Help Sam get to 100% by making a donation HERE! Every time I come to class I commit and put everything I have into training. I realized that not only is boxing a very technical sport, but it also requires a lot of cardio and conditioning. I will push myself harder than I ever have and I know I will be ready on June 4th…no doubt in my mind. Support Samantha and check out her interview with the Female Coaching Network today.